Home / Clearomizer / Kanger / Kanger TopTank Mini / KangerTech Atomizer / KangerTech TopTank Mini Clearomizer / Do U Like The Kanger TopTank Mini ? Do U Like The Kanger TopTank Mini ? 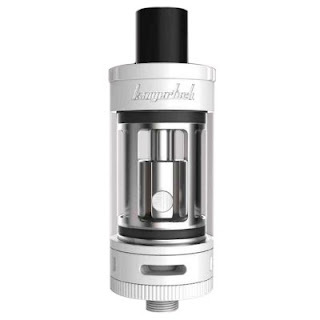 The Kanger TopTank Mini is made of extremely high-quality 304-grade stainless steel. This unique metal alloy blend also contains chromium as well as nickel, which act to protect against rust and corrosion, making for a long-lasting, solid, and durable device. The top of the TopTank Mini Clearomizer is furnished with Kanger's remarkable wide-bore drip tip, which help increase the vapor production. Lucky To buy Black Wismec Presa 100W Mod 5% Off !